We did it again! 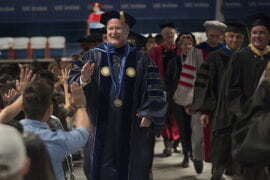 An official total of 1,514 Anteaters set a Guinness world record Wednesday for participating in the biggest-ever game of balloon tag. 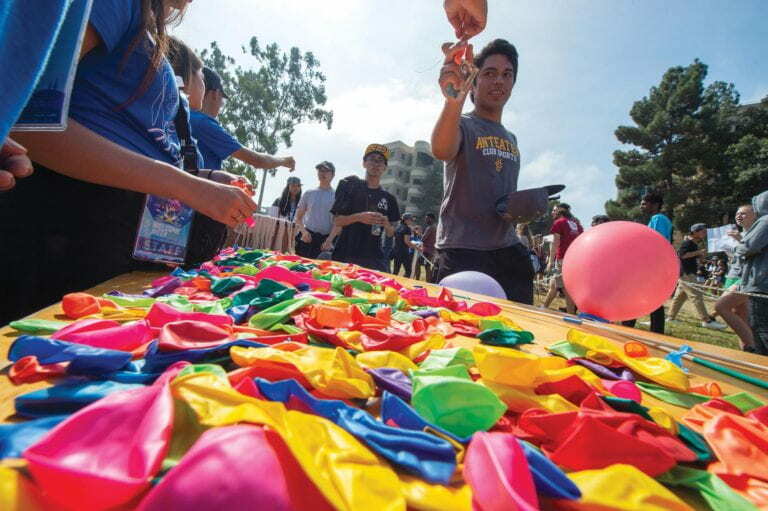 In what’s become a Welcome Week tradition, UCI has claimed seven Guinness titles, four of which it currently holds: The balloon tag benchmark joins the largest game of dodgeball (2012), the largest water pistol fight (2013) and the largest game of capture the flag (2015). So how does it feel to be a world record holder? “It’s cool to be part of a community where we have one goal,” says first-year biological sciences major Emilou Ventura.